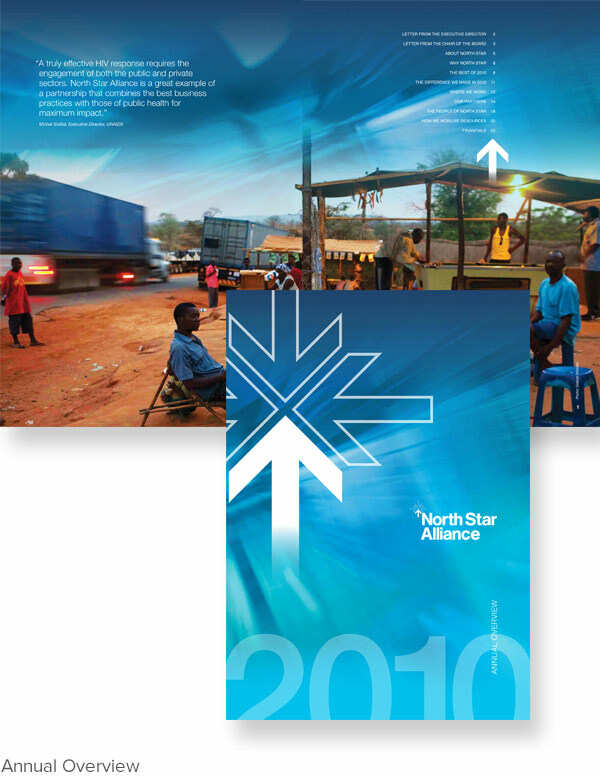 North Star Alliance (NSA) provides mobile populations and related communities with sustainable access to high quality health service. NSA wanted to standardize their identity package for internal and external audiences. Products needed consistency and a fresh design. A modern blue graphic was used to pull all products together and act as a theme throughout. 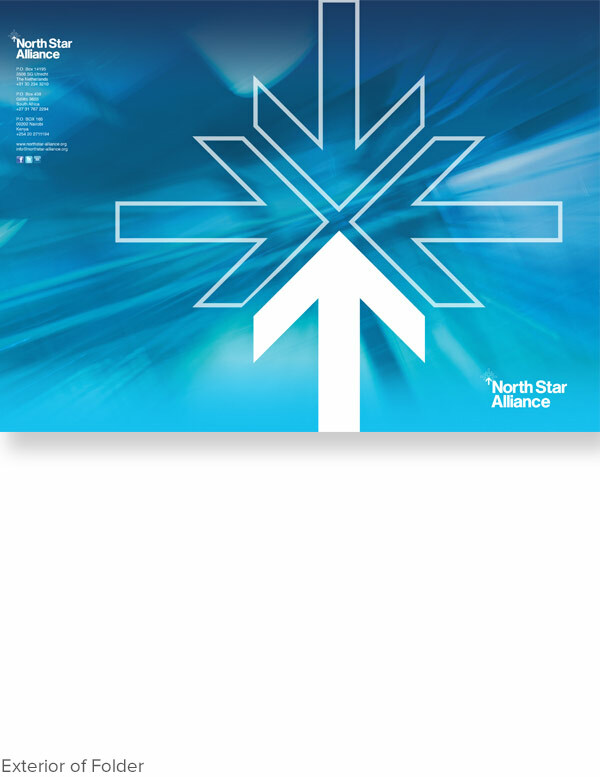 The north star in their logo was given prominence as a main design element to add instant recognizably. The blue color of their mobile wellness centers was utilized in the design to keep the unity with their promotional products.